This society was formed in 1969 and now comprises over 300 members. A valuable source of their income is the canal boat New Horizons which offers 30 minute public trips on the canal, on Sundays and Bank Holidays (April - October) between noon and 4.15 pm. The trips start and finish at their dock located behind the Melbourne Arms Pub in the center of Melbourne. PCAS works with the new Canal & River Trust (previously British Waterways), Natural England. the East Riding and Yorkshire Council and other organisations to secure funding to help more people enjoy the canal. Care is always taken to avoid damage to the wildlife and heritage, which are such important features of the Pocklington Canal. 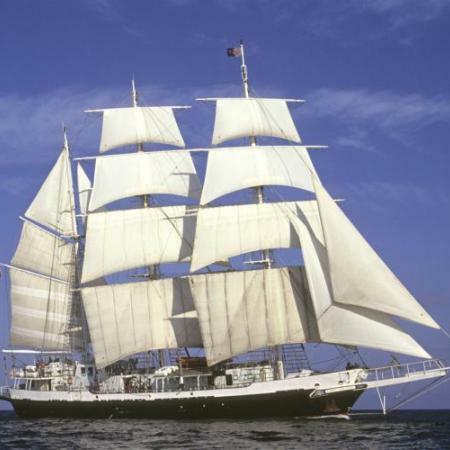 We learnt that the Lord Nelson (shown here) and Tenacious are the only tall ships in the world designed so they can be sailed by a crew with widely varied physical abilities. Every aspect of shipboard life is available to all, from setting the sails, going aloft and helming the ship. Guidance tracks, tactile stair strips and raised directional arrows on handrails.